Who is it? Super Yaya was founded in 2015 by Rym Beydoun, just a few months after she graduated from Central Saint Martins. 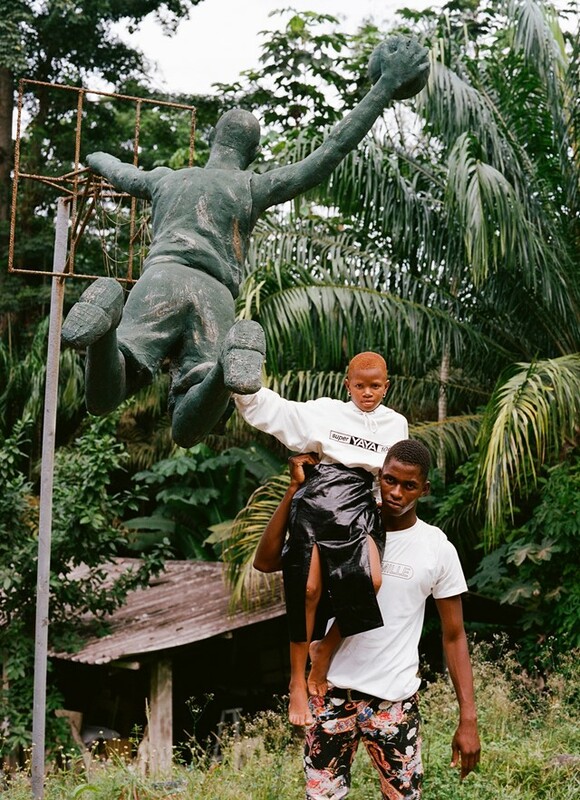 The Beirut-based designer’s work references her upbringing in Ivory Coast, where she spent most of her youth “doing motorcross on dunes of sand, passing villages of fishermen and walking in Plateau near a water tower”. When her family had to flee the country after the first Ivorian political coup in 1999, she felt nostalgic for the place she had grown up in, and filled her days reminiscing. Why do I want it? 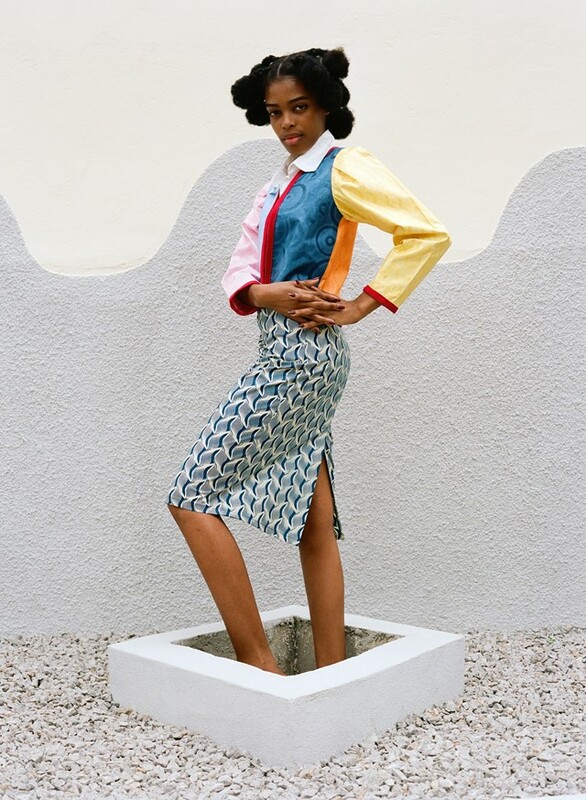 Super Yaya is founded on a sense of authenticity that’s deeply rooted in Beydoun’s nostalgia, not least because the brand blends her contemporary aesthetic with a collection of fabrics hand-selected from the markets of capital Abidjan. With the help of her friend and stylist Makram Bitar, who works on the imagery for the Super Yaya lookbooks, cut-out dresses are layered over sweeping tops and knee-high slits on skirts are paired with simple hooded sweatshirts bearing the brand’s logo, to create a streetwear-inspired new take on traditional textiles. For the S/S18 collection, Beydoun worked with photographer Joyce NG. The two only met for the first time last year, but found creative common ground from the get-go. “I like realness with a sprinkle of MSG,” says NG. “I’m attracted to subjects who are shy and only 63% sure about themselves.” As such, Super Yaya is a refreshing antidote to fashion’s usual bravado, presenting an honest portrayal of the place, people and clothing that define the personal histories of Beydoun’s childhood community. Where can I find it? At The Store (Soho Farmhouse), The Store (Berlin), Maryam Nassir Zadeh, Opening Ceremony and online.